I am passionate about building awesome user experiences, working closely with publishers and watching people "get" technology. Posted on March 3, 2014 by Greg C.
SXSW is not dead and people who keep writing that it has died don’t get it. Â SXSW has evolved from child to awkward teenager and in the next couple of years will emerge, hopefully, a well adjust adult. I’ve attended SXSW since 2002, attending first for the movie festival with a friend and then discovering lots of intellectual technology discussions happening at the same time. Â This year the entire interactive conference fit in one small wing of the convention center. In 2004 Jonathan Abrams, the founder of Friendster gave a keynote. Â That’s right Friendster, that is how long SXSW has been going on. Â 2005 brought us Malcolm Gladwell and 2006 Jimmy Wales. Â See a trend? By 2007 SXSW graduated to the next level. Â The panel picker was introduced, Twitter exploded on the scene and became the vernacular of every geek. Â Parties and meetups dominated the scene as the conference migrated slowly away from the convention center and into the bars and lofts on 6th. By 2010 the days of Geeks Love Bowling and enlightening technical debate had come to an end. Â In its place swarmed celebs, corporate executives and major sponsors. Â But that is OK, right? Despite it feeling like the transition happened overnight it didn’t. Â Evolution is not without pain, but evolution is not death, it is growth. Â The event is the greatest networking event on the planet right now. 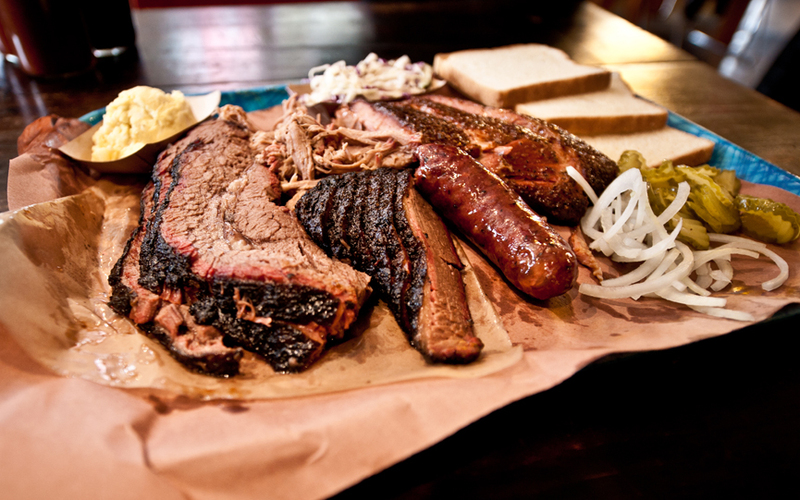 Â It is spring break for adults and while we may never see a breakout company like Twitter emerge again, that moment in 2007 created the SXSW we know and love today. 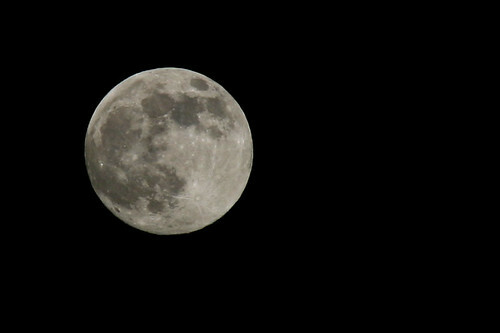 Posted on June 22, 2013 by Greg C.
Super Moon from Potomac, a photo by GregCypes on Flickr. 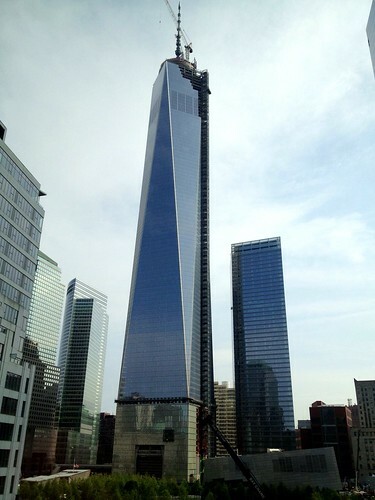 Posted on June 20, 2013 by Greg C.
World Trade Center, a photo by GregCypes on Flickr. 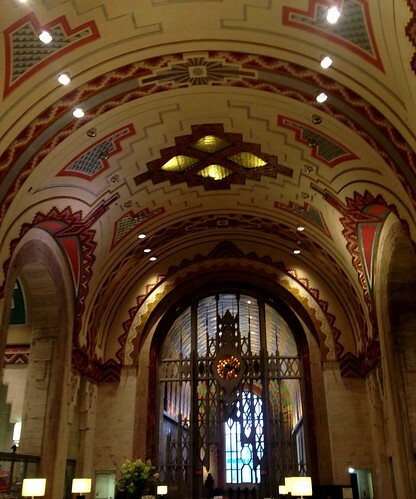 Guardian Building in Detroit, a photo by GregCypes on Flickr. First Class Battle. Alaska Airlines vs Virgin America vs United Airlines Who’s Better? Posted on July 23, 2012 by Greg C.
I spent way to much time on the road in June flying back and forth from the west coast 3 times in 4 weeks. Â Thanks to a combination of short notice trips, flight credits and great fares I ended up in first class on all 6 flights on 3 different carriers. Â I’ll detail each experience, include photos and deliver a verdict. NOTE: For 7 years I was a United 1K flying ~200K miles a year, the majority of it in domestic first class and international business class. Hard to ever turn down a flight from DCA to the west coast. Avoiding Dulles at any cost should be all travelers’ goals. It was my first time on Alaska Airlines and I was looking forward to flying them after hearing friends’ reviews who live in Seattle. The seat was not super comfortable. It was hard and the recline was limited. WiFi was great. It was faster than I had experienced on Virgin America and the cost was less than VA. The inflight entertainment was on a digi handheld player. 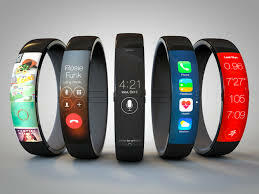 The content was decent, the device cumbersome but was better than watching an overhead monitor on a United 757. The biggest downfall is that there are no outlets at the seat making it impossible to charge your device. It is strange that you can offer WiFi but no outlets. My laptop barely made it powered on the outbound flight. Alaska still hands out menus on the flight. 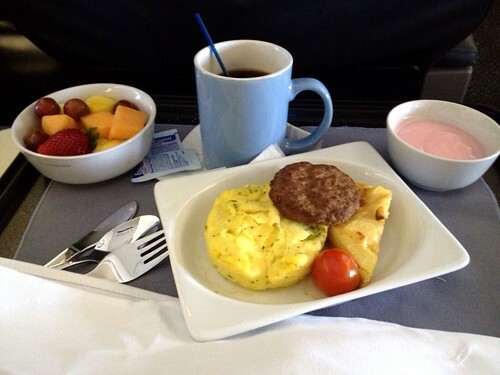 The outbound breakfast was a nice change from typical the egg hockey puck on United and was plated very nicely. 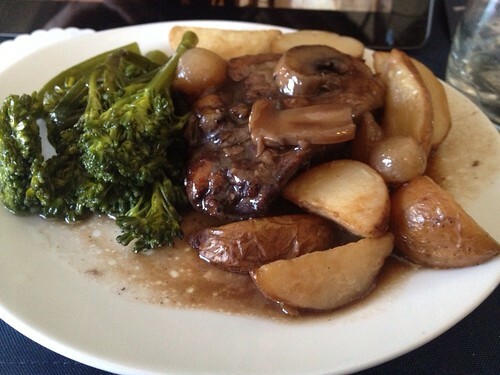 The coq au vin was a hearty lunch. Crew on both flights were happy to be there, professional and worked the entire time. They addressed each passenger by last name and thanked us all for our business. Back in a familiar setting with my family as we traveled out to Seattle to see friends. The outbound flight was on a 757 and the return was on a former Continental 737-800. The contrast was quite stark in the experiences on each flight. And that sums up one of my bigger gripes with United is the inconsistencies. The 757 seat was leather and still was super comfortable for me. Perhaps my body has adapted to the seat after all the miles I have previous flown on United. The 737-800 seat was nearly identical to the Alaska Airlines seat and by the time I got off the plane by back hurt. United has come in last place on technology for years and nothing changed on this trip. The 757 had overhead screens and no power adapters. The 737-800 at least had power at the seat and DirectTV making the flight bearable, but no WiFi on any United flights kills any productivity. Breakfast on the outbound was the predictable hockey puck, highlighted with horrible coffee. Why did United get rid of Starbucks? I am not a coffee junkie nor a Starbucks addict but what they are serving on United is awful. 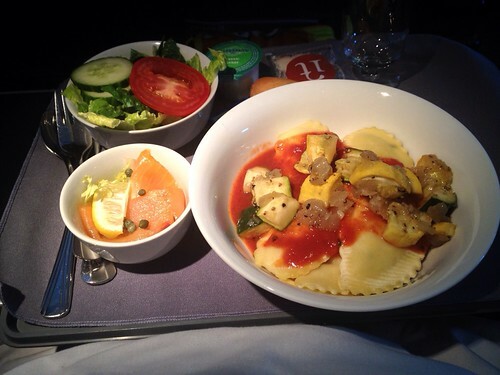 On the return flight we had a pasta dish that I remember having in coach in 2005. It amazes me this is what United is giving to paying customers (I was not one of them on this flight) in first class. Though I did get an ice cream sundae for dessert. United’s biggest inconsistencies start with their crews. The outbound flight crew was impatient, did the bare minimum and disappeared as soon as the trays were picked up only to reappear right before landing. The return crew was terrific. They went out of their way to help when my daughter wanted a snack, since she could not eat the airline food due to allergies. I want to like Virgin America. All the hipsters love them but I can’t help but feel they try so hard to be cool that they forget some basics. The seat on both flights was easily the most comfortable. Built in lumbar massage, foot rest, not bad. Virgin America was the only airline that hit all three checkboxes on my must haves. WiFi, power outlets, and live tv. The price of WiFi was more expensive on Virgin than Alaska by $3.00. This is always where Virgin loses me. 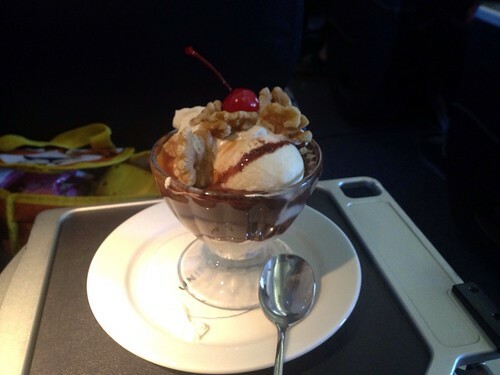 They tend to try to hard to cater the flight with fancy, hip food which you can’t pull off on an airplane. If they only could keep it simple like Alaska did with their breakfast. 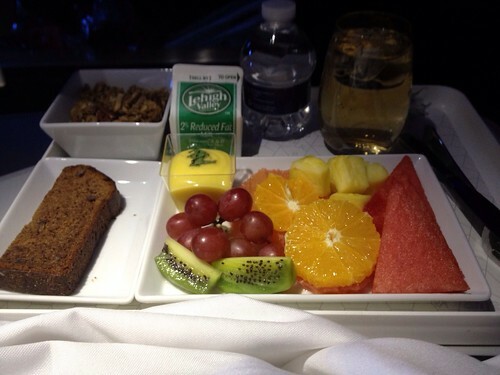 This flight I settled for the simple fruit plate with granola which was really good. Both crews were average. Every Virgin America crew I have had does their job, keeps everyone well fed and happy but they are not the most personal. I don’t need small talk, or to be addressed formally, but the crews I had this trip were like automatrons. For people who care about miles and status, it is a no brainer, Alaska wins hands down. Virgin America has a weak loyalty program called Elevate, but Alaska allows you to earn miles on Delta, American and has their own program. If you don’t care about miles, then Virgin wins in a squeaker. Better seats and better technology put it ahead of Alaska. United is not even on my radar at this point. I am done flying them. Personally, I dislike flying from Dulles, so when Virgin adds a flight from National Airport later this summer to SFO it puts them over the top. Power at the seat and live TV with the added convenience of National make going to SFO a breeze for me. Posted on July 19, 2012 by Greg C.
Late in June I was in San Francisco for Google I/O. Â I had a few spare minutes to capture some of my favorite iconic images of the city. 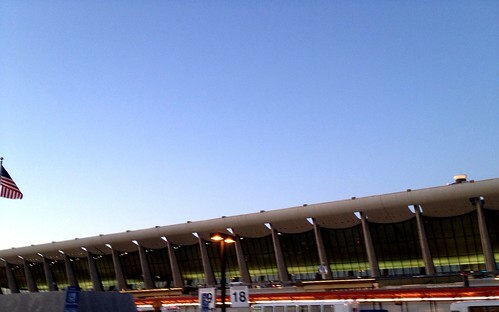 Â My trip started with an early morning visit to Washington Dulles International Airport. 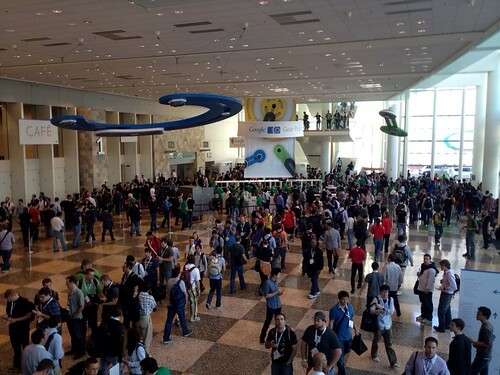 Google I/O was packed with people. Especially when everyone queued up for all the free giveaways. 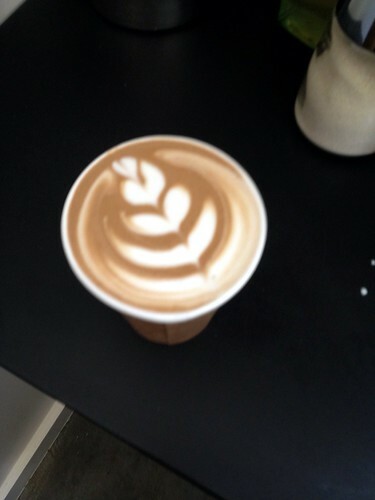 No trip to the SoMa district in San Fran would be complete without a trip to Blue Bottle Coffee. 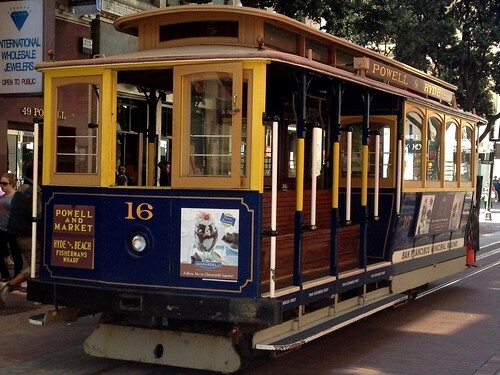 Cable cars lining up at the Market St Turntable. The Intercontinental Hotel in San Francisco is one of the most green buildings in the world. 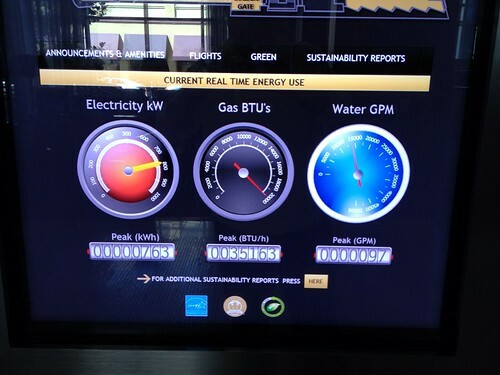 Their energy consumption is shared with all hotel guests in the lobby. Posted on July 3, 2012 by Greg C.
It has been a crazy 96 hours of weather and power outages here in DC. Â Flying back from Google I/O last week it was clear based on our flight path that we were avoiding a massive storm in Indiana and Ohio. Â It was incredible to watch how a storm in Chicago ended up traveling over 900 miles and wiping out power grids along the way. The derecho knocked out power at the SumOfTheWeb’s office in Maryland along with over a million others in the DMV (DC, Maryland, Virginia). Â Tons of content has been created about my particular power company and their ineptitude. Â Thanks PEPCO for all you do. Â DataÂ courtesyÂ of AddThis of course. Of course life could definitely be worse. Â We got power back 80 hours after the storm today. Â We are lucky, we could afford to refill our refrigerator and stay in a hotel while the power was out. Â Some are not as fortunate. Â And some folks in Richmond are about to experience an incredible heat wave followed by a chance of Godzilla. Â Thanks to the news team in Richmond for injecting some humor into this crappy weather pattern. Posted on June 28, 2012 by Greg C.
First rule in spending: why build one when you can have two at twice the price? So today we were treated to a second attempt at the stunt. While the crowd in the convention center may have been rolling their eyes at seeing the stunt again, I was in a very different location. By chance I was walking back from a meeting at the StumbleUpon offices when I noticed the same blimp hovering above Moscone. A minute later the sky divers jumped and by the time I made it back to the convention center I watched two people rappel down the side of the building. Here is what the stunt looked like from outside the convention center. It was a lot of fun to watch. Â Also worth mentioning today Google opened up the goodie bag again today and gave everyone a Chromebox.